Can’t believe it has been since November 15th of last year that we had occasion to enjoy this pinot grigio. This double dose was a great way to kick off our holiday and welcome our brother into town for the Memorial Day weekend. This grigio accompanied a delicious salmon, grilled to perfection on our deck, and coated with a barbecue and blueberry marinade. A little asparagus with browned butter and lemon on the side, together with baby potatoes, and voila you’ve got a treat. 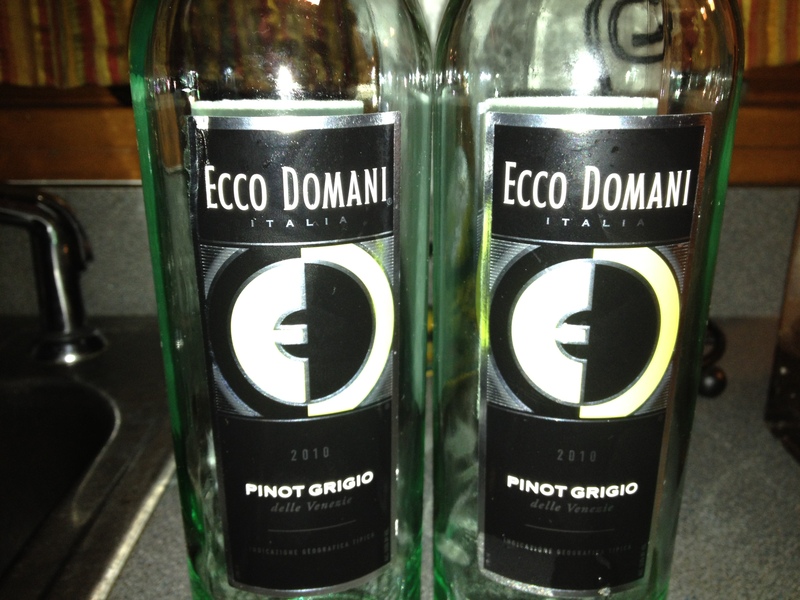 2010 Ecco Domani, Pinot Grigio, Italy. All good stuff. And interesting to reflect back on our first occasion with the Ecco Domani and think about what the next one might hold.